Our second daughter was an early Christmas present. Try getting into the Christmas spirit when your wife is 9 months pregnant, you have a 15-month old, and you are trying to finish up a master’s degree. That month, like so many since, pushed us to the brink, but also brought us closer together. Now we have a beautiful girl who just turned 9! Can you believe it? 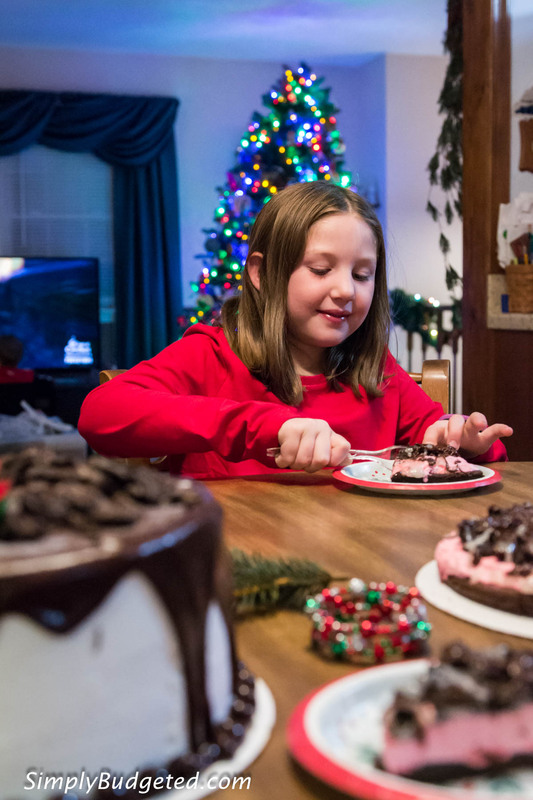 With December birthdays, there’s always a concern that your child might actually resent the Christmas season overshadowing her special day. We are super blessed because (knock on wood) our girl LOVES Christmas. She wants Christmas cupcakes at her school, she loves when our elf, Kingston, decorates for her special day, and, for a while, I think she thought that we put lights up because it was her birthday! This year we not only celebrated Sophie’s birthday in December, but her cousin’s, as well. 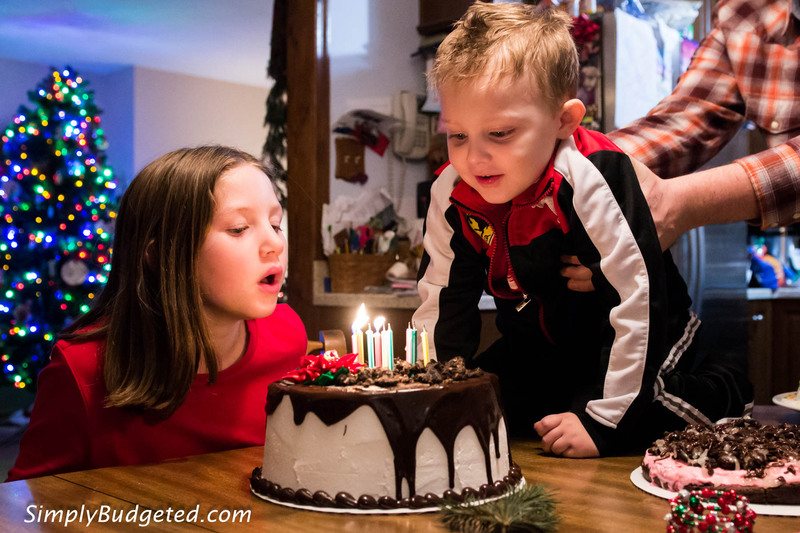 With a busy holiday season, a drive out to celebrate birthdays, and helping to trim the grandparent’s Christmas tree, we needed a little help on the cake side of things. 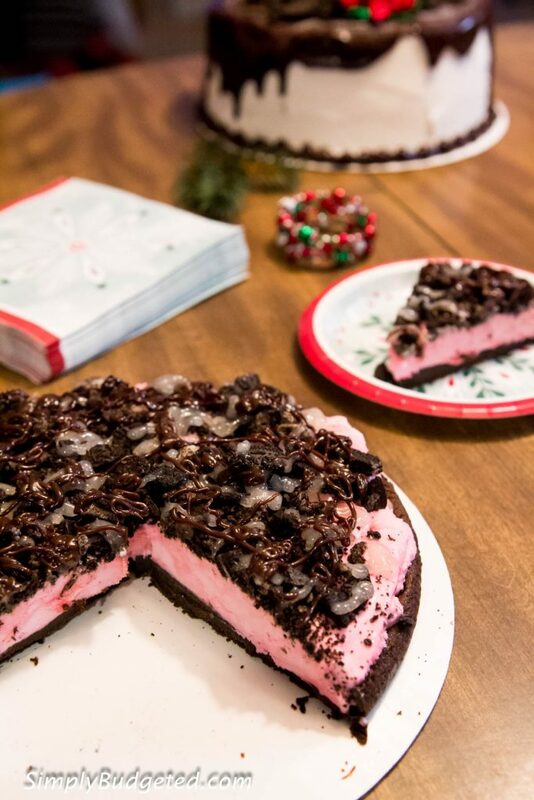 We got online and decided to order a Ganache Poinsettia Cake and a Peppermint & Winter OREO® Cookies Polar Pizza from Baskin-Robbins. They were so easy to order and sooo tasty! 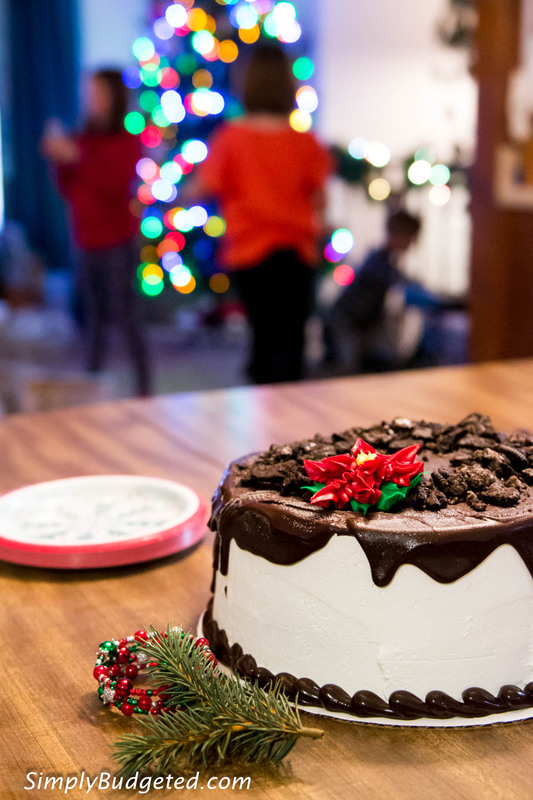 The Ganache Poinsettia cake is a 9″ round ice cream cake (you choose the flavor) topped with Winter OREO® Cookies and a simple, but elegant, poinsettia decoration. 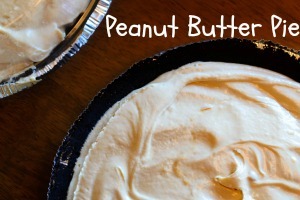 It was rich and decadent and I want another one!! The Peppermint & Winter OREO® Cookies Polar Pizza has peppermint ice cream spread onto a crust of double fudge brownie. You could stop right there and I’d be happy, but Baskin-Robbins piles on pieces of Winter OREO® Cookies and drizzles with marshmallow and fudge toppings! It’s all of the sweet flavors that I love during the holiday season! Both are available for pre-order both in-store and online. 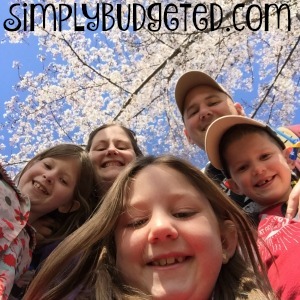 We went the on-line route and it was really easy! And with this $2 off coupon, you really have no excuse! As a special bonus, I always think the best part about going to pick up orders like this is that you, as the picker-upper, get a special treat yourself. 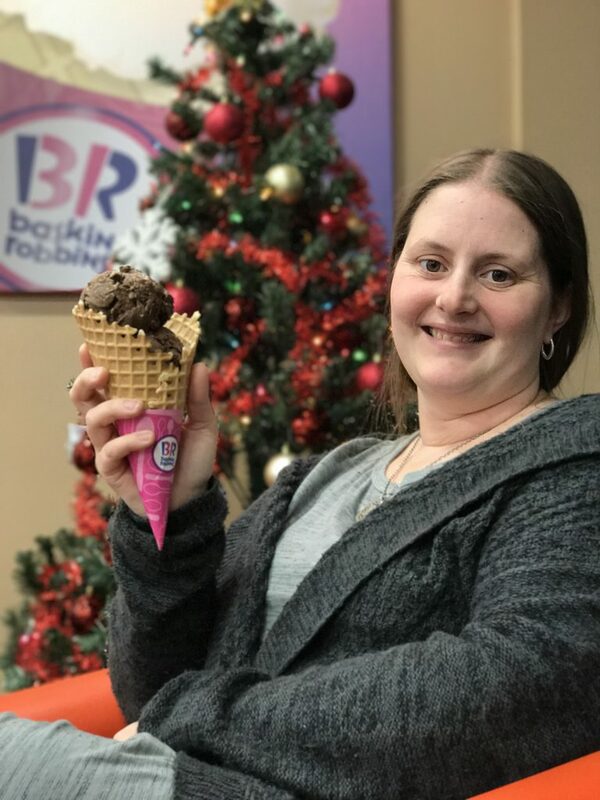 Beth and I got a waffle cone of Peppermint Bark in the Dark, the Baskin-Robbins December Flavor of the Month. It’s chocolatey and pepperminty and is just right for the holiday season! Do you have any other special days during the holiday season? 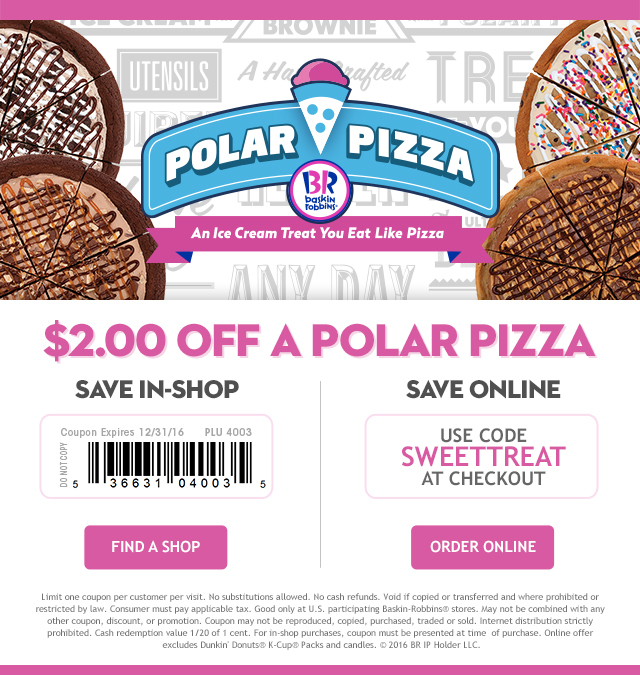 Make sure you check out Baskin-Robbins on-line ordering to make things a little easier on yourself. And follow Baskin-Robbins on Facebook, Twitter, and Instagram for more information on their special flavors and products! The cake was excellent & I usually don’t like ice cream cakes. Great cake to order. You won’t be disappointed!